The 6100 fills the gap between Philips Norelco’s entry-level shavers (like the 2100 and 3500) and the more expensive ones, combining reasonable price with very decent performance. 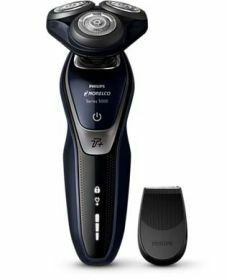 Previously known as SensoTouch 2D 1150X/40, the shaver went through a rebranding process and is now simply called the Shaver 6100. Apart from the name and packaging, nothing has changed and the products themselves are identical. 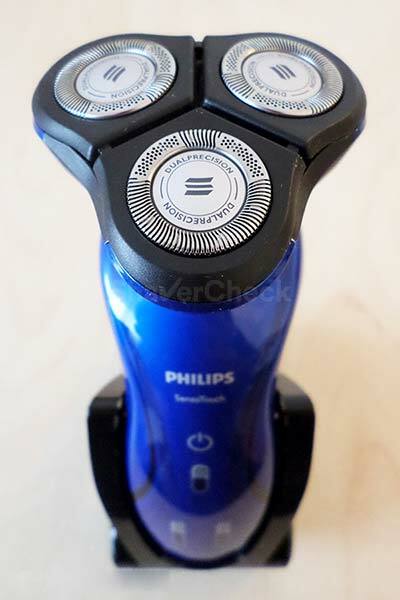 In this review, we’ve put the Philips Norelco 6100 through its paces and tested the shaver for two weeks. Here’s everything you need to know before deciding to buy this razor. 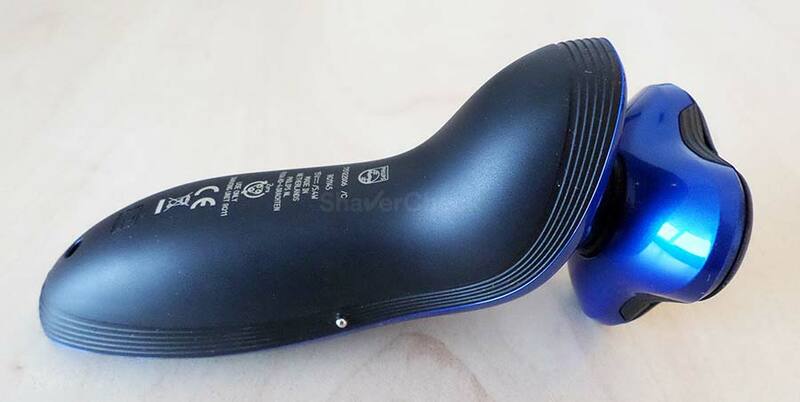 Wrapup — Who should buy the Shaver 6100? The Norelco 6100 features a cutting assembly named GyroFlex 2D. This basically means that the entire shaving unit can pivot and the three shaving heads can tilt inward. The models from the superior SensoTouch 3D family feature cutters that can also tilt outward. The cutting heads are fitted with slots and holes to accommodate both longer and very short stubble, while the double blade system — called SuperLift & Cut — supposedly lifts the hairs to be cut below skin level. They also feature a special coating to reduce friction and further improve comfort during shaving. Other noteworthy features are: cordless operation, LED indicators, click-on trimmer, 5-minute quick charge option, wet & dry use. 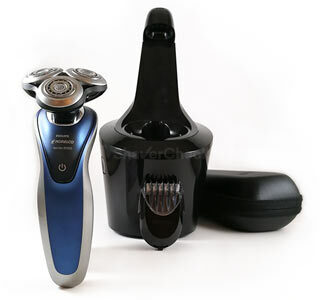 The design of the Shaver 6100 (1150X/40) is one step above the usual budget rotaries from Norelco and its silhouette resembles the more expensive Series 7000 and 9000 models. The shaver feels very light and comfortable in the hand, while the matte, rubbery insert from the back provides excellent grip. On the front you’ll find the power switch that sits flush with the front part of the shaver. This button also doubles as a travel lock switch by pressing and holding it for 3 seconds. There are also find three indicators for low battery, charging status and travel lock. They are pretty simplistic and basic in their appearance and function. The charging stand is surprisingly well made and doesn’t look or feel cheap at all. For the color scheme of the Norelco Shaver 6100 they went for a more sporty aqua blue; the finish is glossy and looks pretty sleek in my opinion. Overall, the shaver felt well built and nothing really stood out in a negative way. The Philips Norelco 6100 comes with a Li-Ion battery that requires around 60 minutes to be fully charged and provides enough juice for at least 40 minutes of use. I found the battery life to be consistently good and there’s also a 5-minute quick charge feature for those times when you need to shave in a hurry. 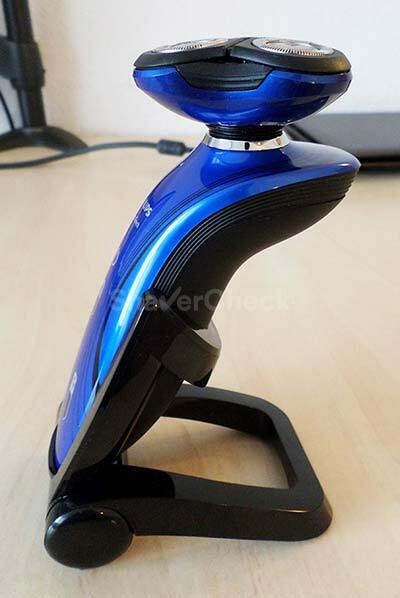 One slight annoyance about this particular shaver is that you cannot charge it without the stand; as it was the case with the recently reviewed Remington XF8700, you cannot just plug the cord directly into the shaver. For this reason you are forced to always use the charging stand; it isn’t a huge problem, but I personally prefer the versatility of a setup that allows me to charge the razor directly and not have to carry around an extra item. Shaving with the cord plugged in is of course impossible since there’s no charging port on the 6100. But even if they did fit a port, since the model is suitable for wet/dry use, it wouldn’t have worked as a safety precaution. 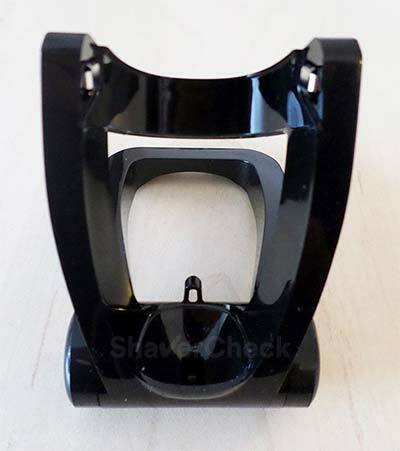 The typical cleaning process of this shaver is dead easy: you simply press the three plastic sides of the head and pull the top part of the shaving unit. You can use the included brush to clean the hairs and dirt from the housing and the top plate. After that you just rinse them under tap water and let the parts dry before putting them back together. Every once in a while it’s recommended to perform a more in-depth cleaning, especially if you’re using the razor with shaving creams or gels. A thorough, manual cleaning is more time consuming for rotary shavers when compared to their foil counterparts. The reason for this is because you have to take apart the whole shaving assembly and individually clean each of the rotary blades and combs — which can be a bit fiddly. Moreover, you have to place the cutters back in the exact same location as the combs and blades are matching pairs. Right, let’s now focus on the most important part of our review of the Norelco Shaver 6100 and see how well it actually shaves. Using the 6100 for a couple of weeks as my main shaver was generally a good experience. While I personally prefer foil shavers, I found it to be decent in terms of comfort and capable of providing pretty close shaves most of the time. The razor glides smoothly on the skin and there’s no need to apply any pressure at all. If you do, it will sting and you may get a rash (it did happen to me a few times, especially on the neck). The cutting heads do a fine job tilting and adjusting to the surface that’s being shaved. My main gripe with the 6100 is caused by the double blade design of the cutters. The first blade that lifts the hairs feels more like it yanks them and this causes a constant pinching, stinging sensation. Some men don’t seem to be bothered by this too much, but for me is really a deal breaker in the case of all rotary shavers fitted with this technology. Another nitpick would be with regards to the pivoting function of the shaving head as it’s stiff and not as smooth as on other razors which renders this feature pretty much useless. When used on a three-day beard the 6100 didn’t perform quite up to my expectations. While shaving the longer hairs was generally a non-issue, it did struggle with the ones that lied completely flat and left some behind. I had to constantly go over certain areas on my neck (where other razors also failed to provide a clean shave without additional passes). Again, this only happened with three days long, flat-lying hairs on my neck, so if this is an unlikely scenario for you, then it’s probably a non-issue. Adding a pre-shave lotion had a positive effect on both the closeness and comfort of the shave and I highly recommend using one. The wet shaving performance of the Shaver 6100 was also good, but having to manually perform a thorough cleaning of the blades after every use made think twice about using it with shaving cream. A foil shaver is much easier to clean, so definitely keep this in mind if you prefer wet shaving. A slight inconvenience, but far from being a deal breaker, is the trimmer. Unlike most electric shavers that feature an integrated pop-up trimmer, the 6100 has a separate, click-on trimmer. In order to use it, one must first pull out the shaving unit and insert the trimmer. Why am I not a big fan of this approach? Well, first because it’s yet another item that I have to carry with me when traveling (apart from the charging base). Secondly, it’s another thing that can be easily misplaced and, lastly, something that can break down because you constantly have to take it out and put it back on. Other more expensive Norelco shavers from the SensoTouch line feature integrated trimmers. My particular review unit bought in Europe didn’t include the click-on trimmer so I cannot make any remarks about its qualities, but I have no reason to believe it will have any problems when used for light grooming, adjusting a goatee or trimming your sideburns. Note: my review unit didn’t include a click-on trimmer and was sold in Europe under the Philips brand. 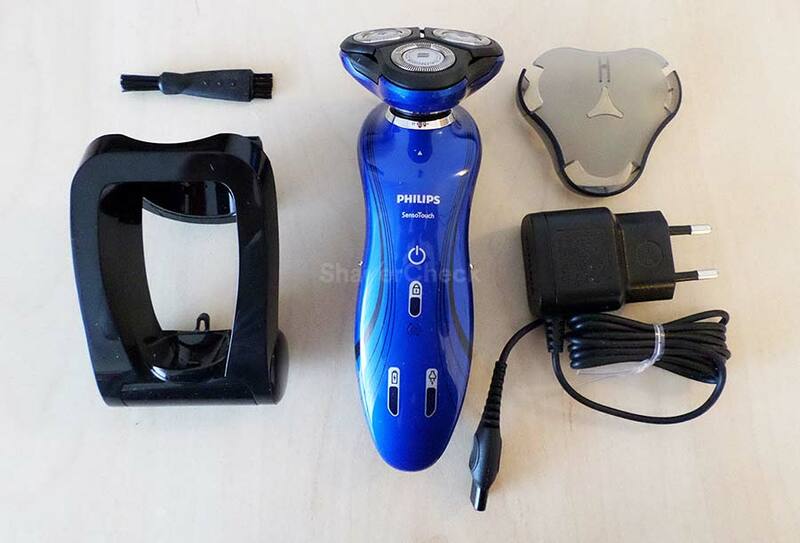 The shaver itself is identical to the ones sold under the Philips Norelco brand in the USA. The Philips Norelco 6100 uses the RQ11 Replacement head and must be changed once every 12 months. The price of this part is not too high, so the costs of ownership for this particular shaver end up being pretty reasonable. A few years ago, the Philips Norelco 6100 (1150X/40) was a no-brainer. If you were looking for an affordable and capable rotary shaver, it was a very solid option. Considering the price, it was pretty much in a league of its own at this price point, hitting the sweet spot for cost and performance. However, the price has spiked and to be perfectly honest, you could find better options for the same price or for even less as you’ll see next. Price aside, if you’re just getting into electric shaving and consider rotary razors to be a good fit for you, the Norelco 6100 should be on your short list of options. 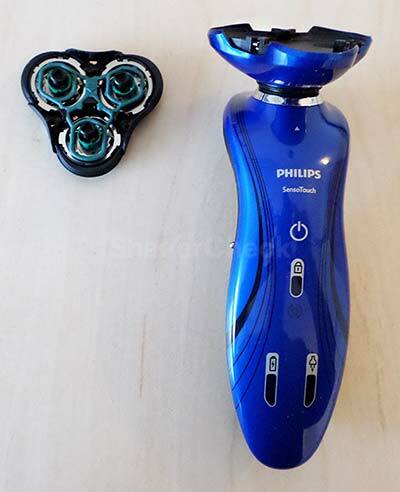 It’s also a worthy upgrade if you’re looking for a reasonably priced replacement for an older rotary razor that’s not up to the task anymore. 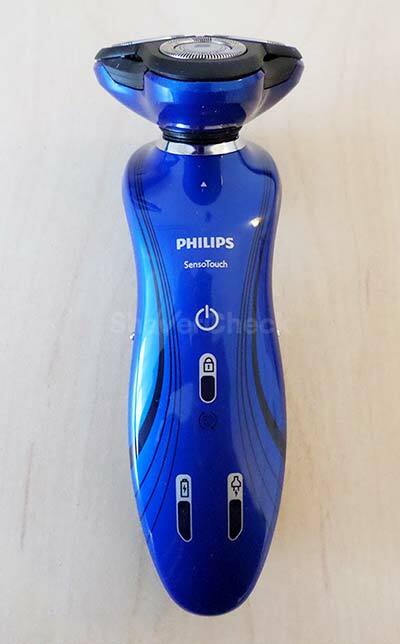 The Philips Norelco 6100 is particularly good for daily shaving but can also be successfully used for shaving every two days. Rotary shavers are great for shaving the head as they allow for a less strict form and can cover large surfaces very fast. The 6100 is no exception and will excel as a head shaver as well. This is the newer version of the 6100. It comes with updated shaving heads, a bigger battery and it costs less. This is a rotary shaver that outperforms the 6100 in every single option and if you go for the variation that doesn’t include the cleaning station, you’ll also save some serious money. It comes with better cutters and a nice hard travel case. The click-on trimmer is also fitted with an adjustable comb, allowing you to trim or maintain a beard. Here’s my review of the 8900 if you want all the details. Finally, you could also opt for a less expensive Series 5000 model. Performance-wise, they are pretty similar to the 6100, but at least now, they cost significantly less.